Below are the Top 5 items from May 2017. 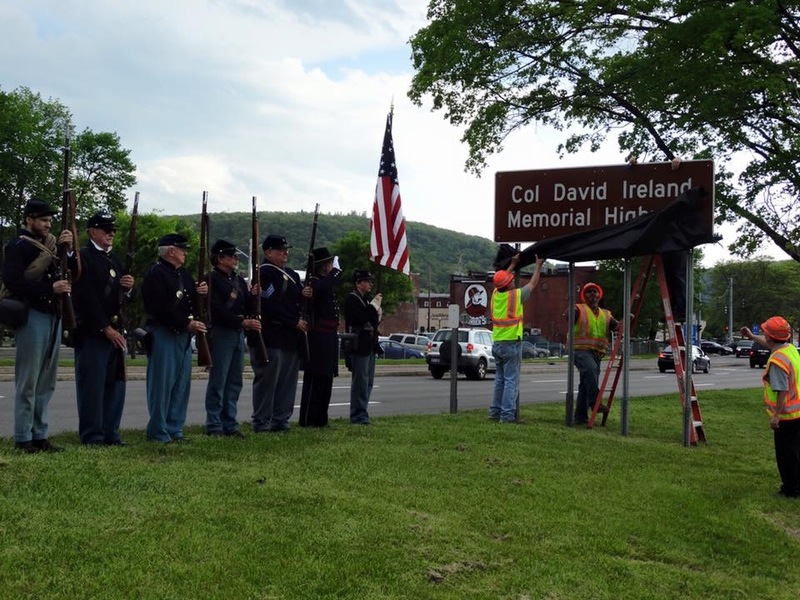 On May 18th, the Col. David Ireland Memorial Highway was dedicated in Binghamton. This portion of NY Route 434 honors the memory and legacy of Col. Ireland and the 137th NY Volunteer Infantry, who courageously defended Culp’s Hill at Gettysburg against a Rebel attack in1863. Before heading off to war, Col. Ireland trained the 137th at Camp Susquehanna on Binghamton’s South Side near present day Conklin Avenue. This dedication complements a historical marker that we erected last June near the Camp Susquehanna site. I sponsored a bill in the Legislature with Sen. Akshar to rename the highway and we were able to dedicate it just before the 150th observance of Memorial Day. It is my hope that as residents and visitors drive through this portion of the city, they will see these signs and take time to learn more about the heroic feats of Col. Ireland and his men. The 137th NY Volunteer Reenactors stand at attention as the Col. David Ireland Memorial Highway sign is unveiled. Our community is very fortunate to have the natural beauty of the Susquehanna and Chenango Rivers. I am working with a number of local organizations to encourage more people to take advantage of this natural resource. As part of these efforts, I joined BingPop, Mayor David, the Greater Binghamton Convention and Visitors Bureau, and Cider Mill Playhouse to announce the inaugural Shakespeare on the River performance. Cider Mill Playhouse will bring A Midsummer Night’s Dream to Confluence Park on June 23rd, 24th, and 25th. The event is free, all you have to bring is a blanket or lawn chair to sit on. Shakespeare on the River is part of “Revel on the River” taking place on and around the Susquehanna and Chenango this summer. Click here for additional information on Shakespeare on the River and stay tuned for more about Revel on the River events. 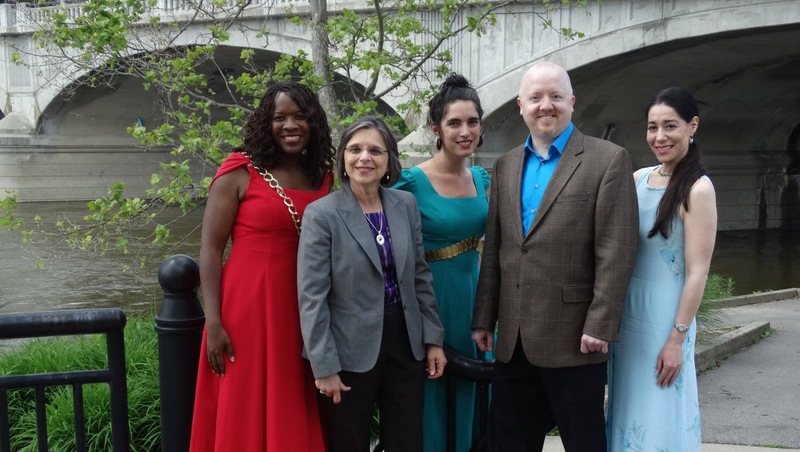 Assemblywoman Lupardo with actors and the director of A Midsummer Night’s Dream, which will be performed at Confluence Park at the end of June. Elder abuse can take many different forms, but by far the most common is financial exploitation. New York’s Office of Children and Family Services estimates that this type of abuse in NY costs $1.5 billion annually. 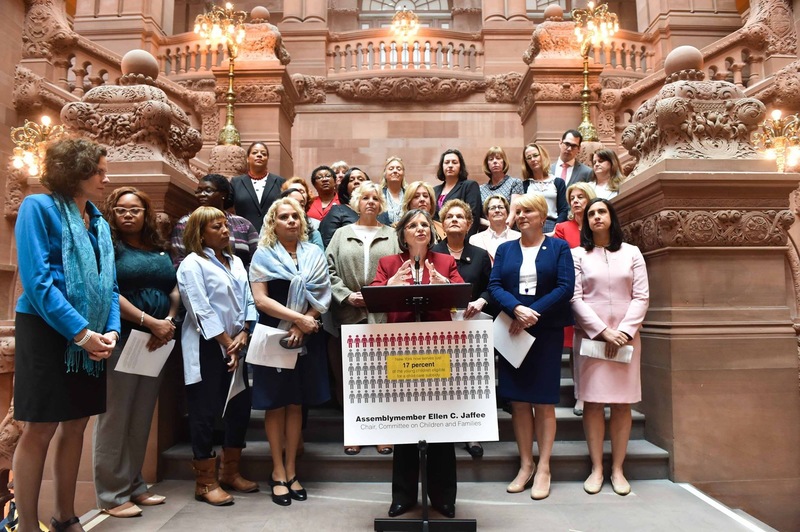 As Chair of the Assembly Committee on Aging, I joined AARP, Alzheimer’s Association, and Senators Dave Valesky Sue Serino in Albany on May 16th to discuss our efforts to protect NY seniors. I am sponsoring two bills, A6099 and A6395, which would limit financial exploitation by allowing banks to refuse payments they suspect to be fraudulent and encourage reporting of possible instances of exploitation. It is important that we find common ground on this issue in Albany. To read more about this announcement, click here. After being elected as the Chair of the Legislative Women’s Caucus two years ago, I asked my colleagues to choose two priority areas on which to focus the group’s work. Since then we have concentrated our efforts on afterschool programming and child care. While there was a significant investment in afterschool in this year’s state budget, child care received an unexpected cut of $7 million. This cut will result in 900 fewer slots for New York’s neediest children. On May 3rd, the LWC called for the creation of a Child Care Task Force to examine current needs across the state and determine where budget investments, as well as comprehensive policy changes, should be made. Studies have shown that quality, affordable child care directly correlates with children’s development and success as they grow. It is also an important part of economic and workforce development. You can watch an interview I did with Capital Tonight on this issue at this link. Assemblywoman Lupardo joins her LWC colleagues to call on the Governor to create a Child Care Task Force. As Chair of the Assembly Committee on Aging, I am working to ensure that seniors have access to important programs and services, as well as to create new opportunities for an aging population that is more active and involved in their community than ever before. Volunteers are crucial to this effort and we have many in our community who work every day to make it a reality. One local volunteer whose efforts have gone above and beyond is Jo Ann Freer of Endwell, who was named 2017 NYS Older Volunteer of the Year. 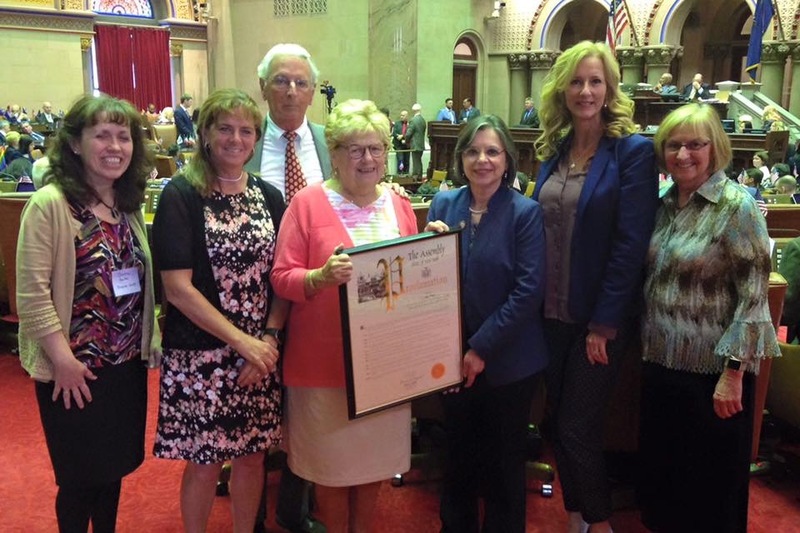 Jo Ann was nominated for this award by the Broome County Office for Aging and was honored in Albany on May 9th. She has been volunteering since the age of 12 and continues to be involved in a variety of programs that enhance the lives of seniors in our community. To read more about Jo Ann and this award, click here. Jo Ann Freer, 2017 Older Volunteer of the Year, is joined by family and members of the Broome County Office for Aging as she accepts a proclamation from Assemblywoman Lupardo.